The figure comes with an instruction sheet which gives a detailed explanation on how to put the figure together. 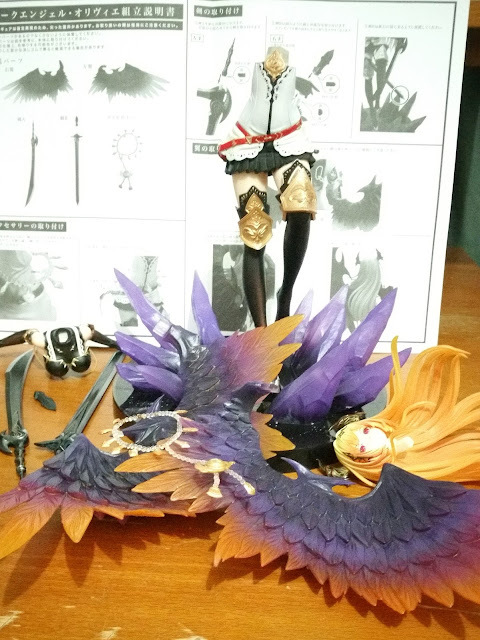 The things which we have to put onto Olivia are her wings, weapon and the ring of beads around her waist. First, here is everything that comes with the figure. 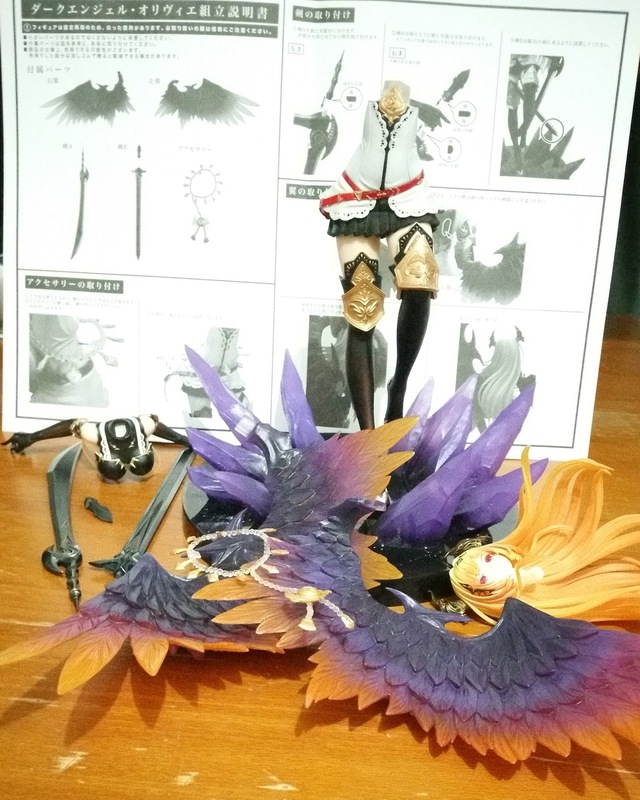 As you can see, there are a lot of detachable parts that this figure comes with such as her wings and even her head and chest. 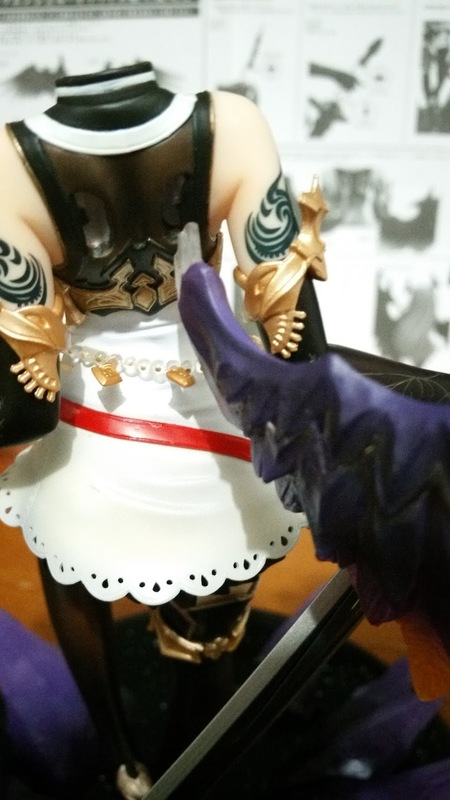 The first step is to push the sword hilt into Olivia's hand. 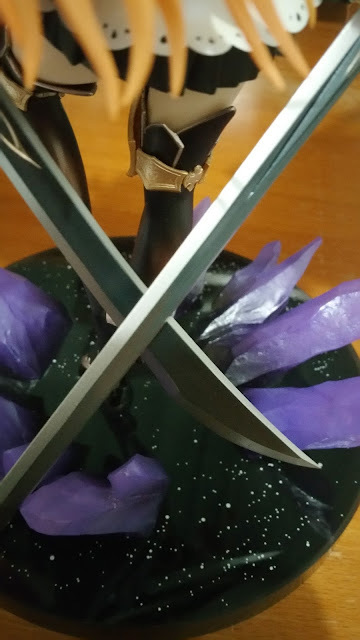 You can refer to the box to tell which sword should go into which hand. You might have to wiggle the hilt a little to get it in but rest assured that it wouldn't cause much damage as the hand is a little flexible and can withstand the force at which you push the hilt in. 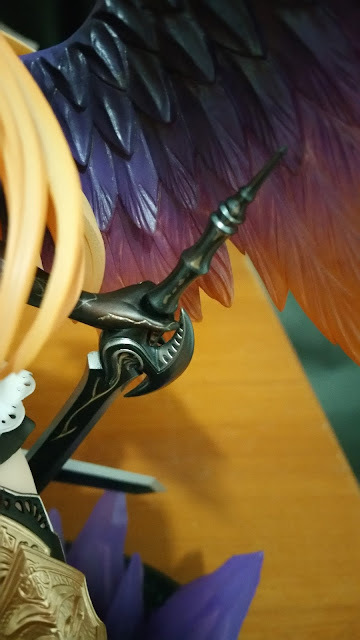 After pushing the hilt in (image above), adjust it such that you can insert the sword at the other side of her palm (image below). However, do note that it might be difficult to attach her to her lower body if you put the sword in at this stage, hence it might be better to just leave her with the hilt and join her body before placing in the sword blade part itself. 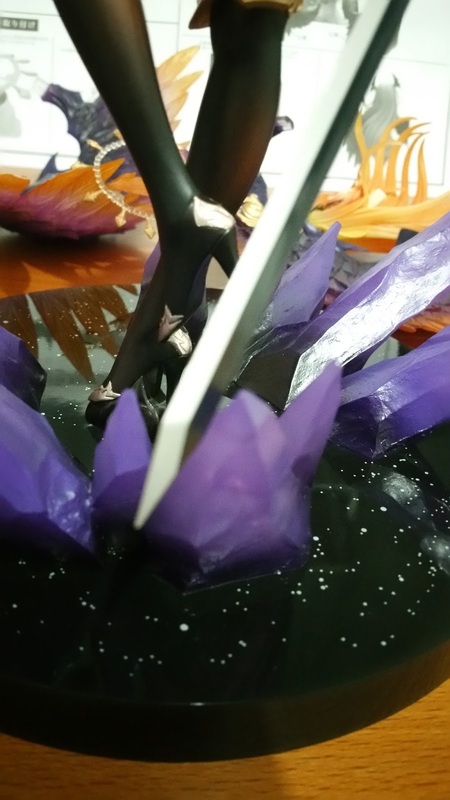 The image below shows how she should look (albeit headless) with one of her swords in place. However, do note that this image is just to show how the sword is supposed to fit. It is actually quite difficult to put the wings in with the sword in place so we'll take some steps back and do the step-by-step assembly properly. First, you'll have to put the string of beads around her waist in place first. There is no other way it can fit in otherwise so be sure that you don't forget this step or it would be troublesome later. 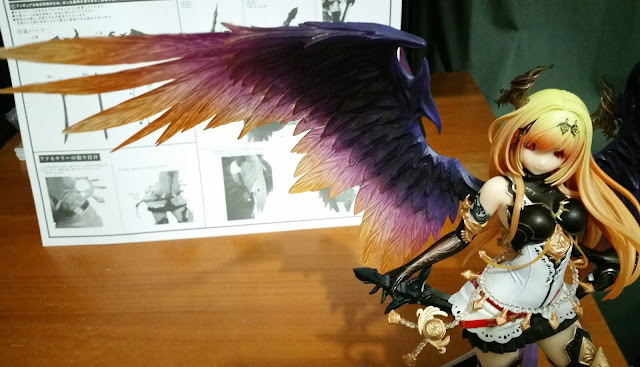 The next step is to put the wings on. I chose to do this before placing Olivia's head on as I found that her hair obscured my vision and prevented my fat fingers from reaching the peg to secure it tightly into the peghole. 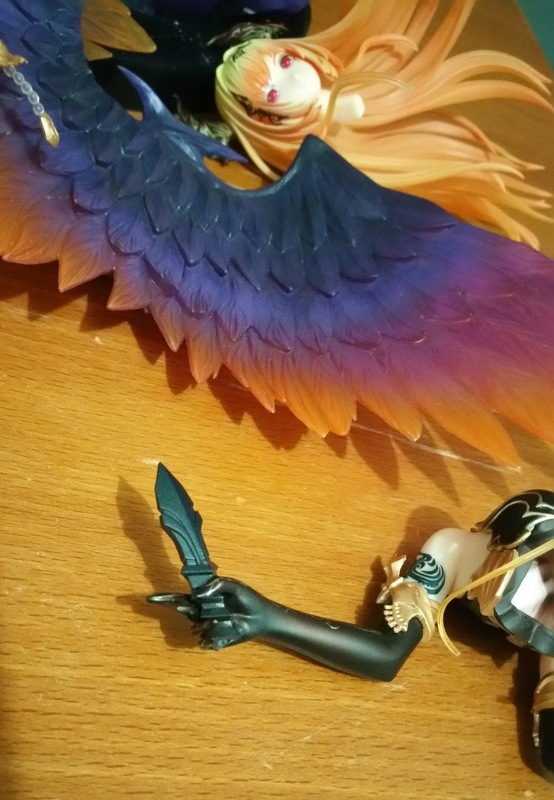 Do note that if you do this the same way as I did, you would need to spend some effort knowing how the wings fit through the hair and you might even need to re-position the wings (especially her left wing) after putting the hair part in. 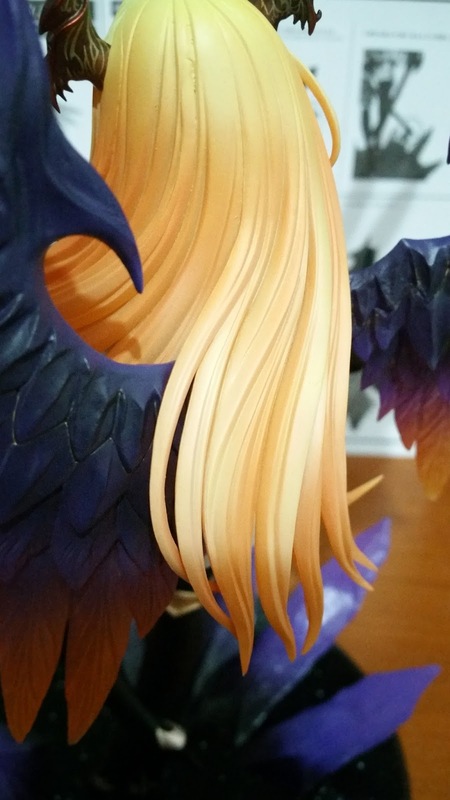 Also, you might prefer having the hair on first before inserting the wings. Here's Olivia with her head and wings attached. 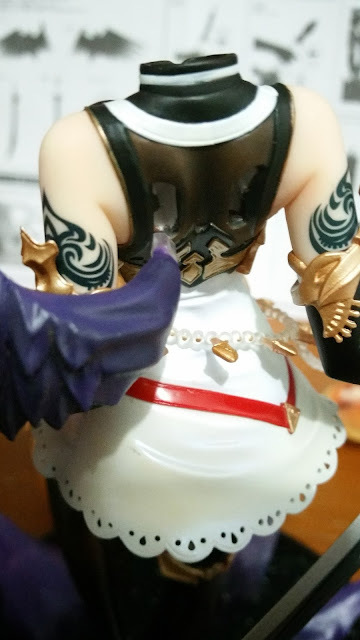 I'll put a few pictures here to show how the wings should fit in between the hair strands and I hope that that would help you position the wings and her head better. And last but not the least... It's the time to put her weapons in her hand. 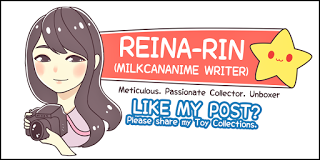 I have already given a brief idea on how to do it, and this is how the final product looks like. The swords do cross behind her and it is important to note whether the sharper side is facing up or down. Do refer to the box for a clearer depiction on which side the blade should be facing. 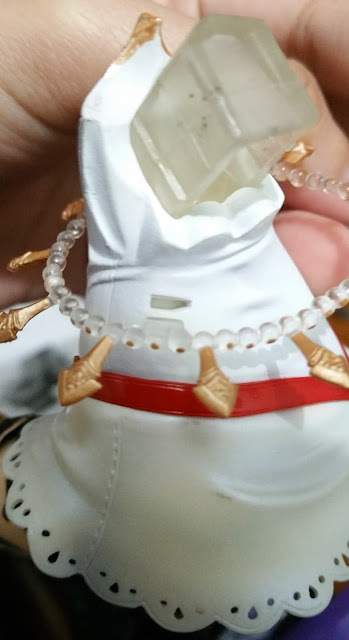 As I mentioned before in my review post, each product is actually slightly different so do not be too vexed if your copy doesn't fit in between the exact crystals as they should be positioned in the prototype. 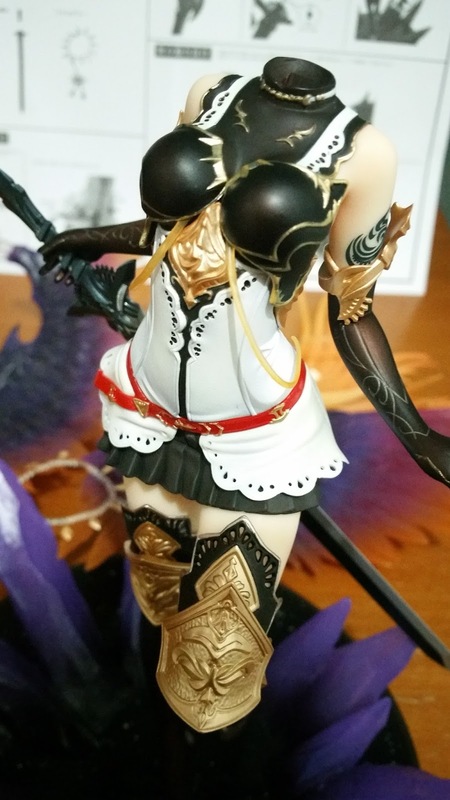 You could always just position her swords as you like. 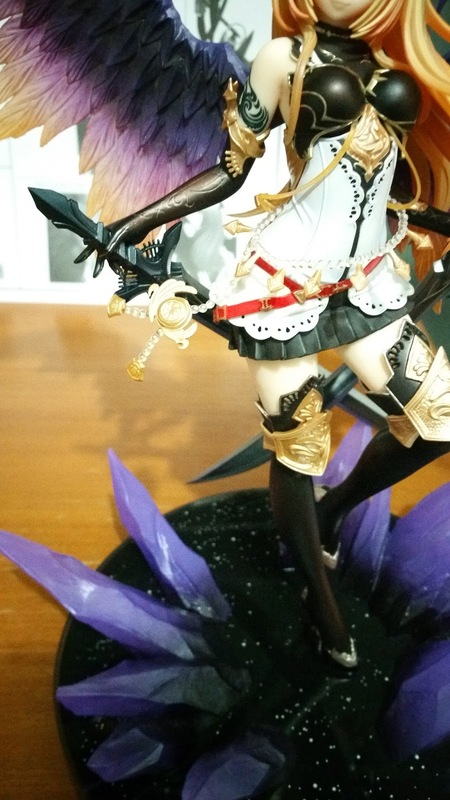 And last but not the least, I placed the whole figure onto the base and done! 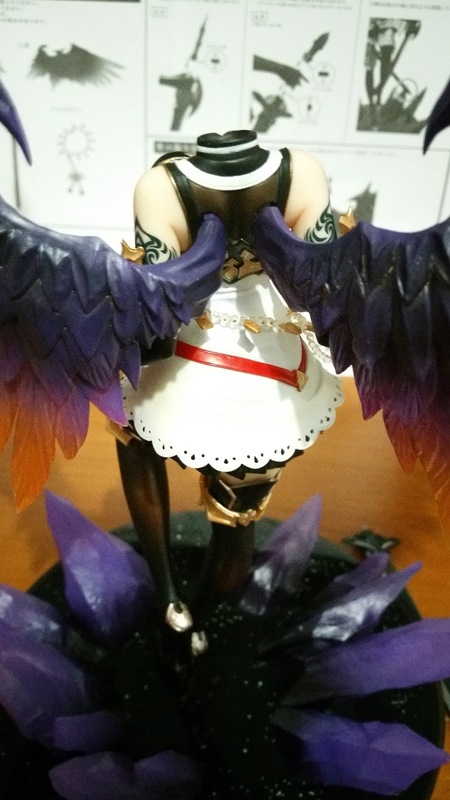 Of course, you can put her on the base and start building from there but I really appreciated not having the bulky base when I had to insert the wings in place. But each to his own! 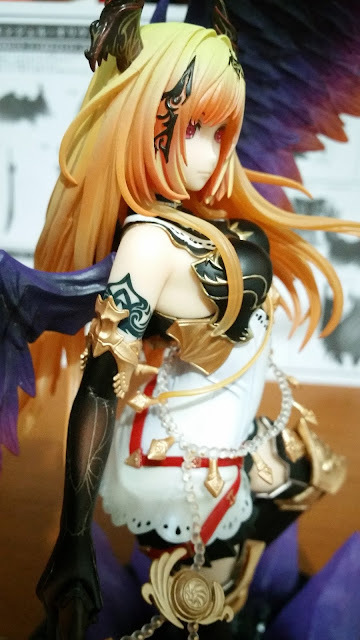 No Comment to " Figure Assembly: Dark Angel Olivia (Kotobukiya) "